Join the world’s foremost experts on Dracula – including academics, authors and horror historians – as they explore the untold story of the Transylvanian Count, from the legend of Vlad The Impaler and Bram Stoker’s celebrated novel through its landmark stage productions and classic movie adaptations. 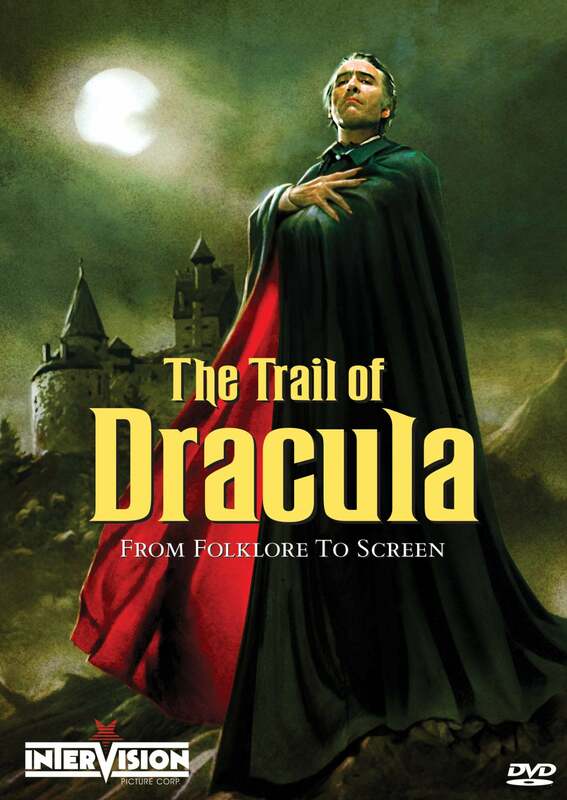 It’s a crimson trail of twisted archival materials, startling film clips and rare interviews – featuring Jonathan Rigby, Kim Newman and John Florescu – plus Bonus Materials that include additional interviews with Udo Kier and Werner Herzog, over 90 minutes of Dracula movie trailers, and more! Posted in News and tagged Christopher Lee, Count Dracula, Dracula, Jess Franco, The Trail of Dracula, Trail of Dracula. I purchased Conde Dracula almost a year ago and it was supposed to come with this. We were given a second option and told this would still be sent us who bought it when it was finally released. Is that still the case? Please let me know, if not I intend to buy. Thanks! Hello Teodoro, everyone who pre-ordered the first time around will receive their copy. No need to re-buy it. Cheers. Awesome! Thanks! Great service as always.